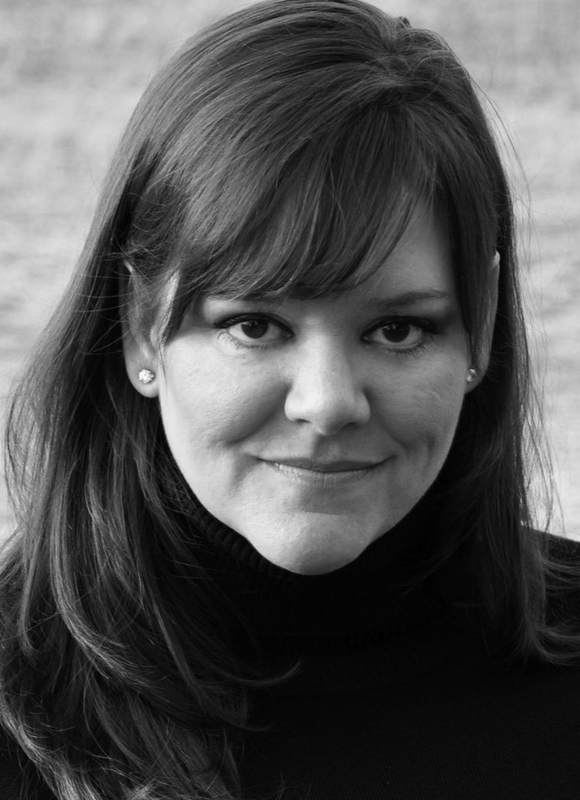 Author Interview and Contest with Laura Manivong! Laura Manivong brings historical fiction to life in her middle grade novel, Escaping the Tiger, just released by HarperCollins Children’s Books. This multicultural story follows twelve-year old Vonlai in his desperate escape from the oppressive Communist Laos to a refugee camp in Thailand. Full of adventure, threats and forbidden skills, this book is a must read. 1. You incorporated many of your husband’s memories into Escaping the Tiger. Tell us a little about that. I’ve never been a refugee, never been to Laos, never been really hungry, never been without a shower unless it was by choice, and never feared for the safety of my entire family for years on end. he book would not exist without his memories, as well as the experiences of others he knew who had to flee Laos. I relied on him for all of the sensory details too: how the refugee camp smelled, how a rifle shot sounds as it travels across a river, how it feels to play soccer on an empty stomach. And the way he described his mother’s face when she didn’t have enough to feed her kids? All of that came from him, and he claims I woke him up during dead sleeps asking for details. Hey, you gotta do what you gotta do, for the sake of the story, right? 2. What was the toughest part about writing Escaping the Tiger? Relying on my husband for all of the details! I asked him to relive a lot of not-so-pleasant memories. I did a book signing recently at an indie store, and the seller wanted her merchant neighbor, a survivor of war in southeast Asia, to come say hi. The woman declined and asked the bookseller to please make sure no one came asking her any questions. She wanted nothing to do with the memories. 3. The most rewarding part? Sharing it with the Laotian community. 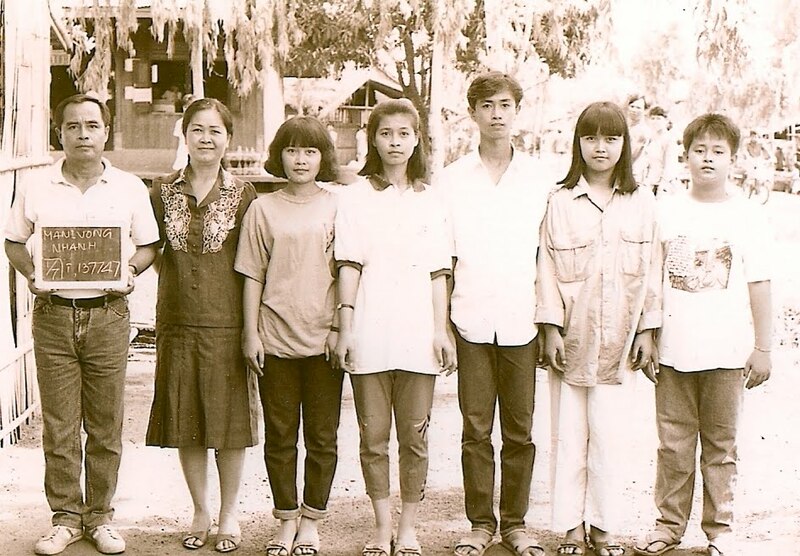 This piece of history is so recent, with many people immigrating to America under political asylum in the years shortly after the Communists took control of Laos in 1975. But others, like my husband’s family, came much later. Because my father-in-law was held as a prisoner-of-war for 12 years in the re-education camps in northern Laos, it wasn’t until 1989 when he and my mother-in-law (and their five children) had to start their lives over at age 50—in a country on the other side of the planet. No 401K, no equity in a home, no savings, no job, and only a basic ability to speak English. Get ready. Set. Go. 4. I love the picture of your writing space on your website. It’s fun and full of color. What are some things that you must have or love that keep you inspired? The night sky. It makes me wonder. An open window. It clears my mind. And my lamp that has a blue bulb to simulate moonlight. It makes me feel a certain kind of longing that I need when I write. 5. Once you finished writing Escaping the Tiger, what was your next step toward publication? I had another novel that had been on submission through my agent, and wasn’t appearing likely to sell, so while I waited to hear back from the last editor who had it, I finished Escaping The Tiger, and thankfully, it sold in the first round. But prior to all that, I racked up over 100 rejections on my own with various projects picture books and poetry. 6. Share with us the one piece of writing advice you wished you had when you first started writing. Read a giant stack of books in the genre you’re writing before you ever take pen to paper. Cheap. That fancy stuff makes me gag. And if it has a little of that crispy, puffed rice in it, well that right there is music in my mouth! Wow, this one stumps me. A real, live vacation seems so impossible right now, so I don’t even think about it. But let’s say Greece. I want to wear some long, white, flowing clothes and stand in front of the Parthenon. Dreams. (okay, I know that was sappy.) But seriously, a car. I love the open road with the radio blasting and the sky stretching out in front of me. That is my kind of freedom. It depends. If I’m doing structural stuff, the cut and paste feature is priceless, and I can’t understand how novels ever got written on plain old typewriters. If I’m doing revisions and finessing the prose, I gotta go with pencil and paper. When I’m holding the manuscript in my hands, it reads more like a book, and I can see it more as a reader would, as opposed to being the author. Now for your chance to WIN Escaping the Tiger (fabulous title BTW). All you have to do is make a comment below. Laura has also agreed to pop by and answer any questions that you may have. Isn’t she rocking awesome? Oh! And before you start commenting away, watch this quick 30 second book trailer. Contest ends midnight EST, May 7th!!!!!! 35 Responses to Author Interview and Contest with Laura Manivong! I’ve really enjoyed reading about your experiences as a debut author, Laura! Can’t wait to read the book! Agreed, It looks amazing. I can’t wait to pick it up! Great interview! I’ve seen this cover, so it’s nice to meet the author! Great interview, ladies. I need to add Laura’s book to my list. It sounds great. I especially loved how she got all the information from her husband. That had to be hard for him to remember some of those unpleasant things. Very enjoyable interview! I’ve been hearing about this book on the blueboards for a long time. Sounds like a winner! Fabulous interview! Congrats to Laura!! I’ve been following her trials and success on the blueboards! Great interview. This must have been a tough book to write and I hope in the end it was therapeutic for your hubby. I already ordered a copy to give to a friend who teaches ESL and Amazon tells me it’s on the way. You know, anybody can do this for a book that’s not in your system; just write down the title and author name and ask the reference librarian to pass it on to the person who does the ordering, because this is a really, really good YA book and teachers are going to be assigning it. They’ll even put you first on the wait list since you’re the one who asked for it. At my local writing group, we were just talking about this book on Tuesday! I have to email my friends who were there and get them to enter the contest. I heard great things about this novel on Tuesday. I am Kate’s crit partner who read it! If I win a copy, I will pass it to our friend whose hubby was a Vietnam immigrant to CA and was in a camp there until he could be “placed.” Such a great book! Thanks! This is great guys! Yes, please pass the word out to your local library and friends. It’s a book that needs to be on the shelves! I would really love to add this book to my collection. Excellent interview! I’ve also been watching on the Blueboards. Congratulations Laura! Interesting interview, Laura! I love your mode of transportation best! Will definitely be picking up a copy of Escaping the Tiger. Great interview and book trailer. Thanks for sharing – this looks like a must read. Wonderful interview! This book sounds incredible! I love that it’s a story I’ve never heard before and told with so much accuracy. Can’t wait to pick it up! Congratulations to Laura. Loved the trailer! Great interview, Laura’s book sounds fascinating! Thanks for the interview, both of you! I love that important stories like these are getting told. As a kid, I never really heard anything about Asia, but I’ve enjoyed exploring it as an adult. This sounds like a must read, and it is so amazingly wonderful to see U.S. publishers embracing stories that don’t take place in the U.S. Yeay! Wonderful interview, Christina and Laura! Thanks so much! Laura, this is an AMAZING story! Like someone said above, this is something that you don’t learn about as a kid when being taught World History. I am halfway through the book (on loan from the library, but would LOVE to own a copy)and–not to give anything away–just want to say that how this fictional family survived the refugee camp is mind-boggling, especially given the fact that this is based on real-life experiences. This is most definitely a MUST READ! A great, great story . . . I hope this wins many awards! Great interview Christy! I look forward to reading your book, Laura. Congratulations! I’m posting a comment, but I don’t want to win. Why? Have ESCAPING, read ESCAPING, and love ESCAPING so much that I want everyone to have a copy!!! I loved the use of colors in the trailer. Great interview, Christy! I don’t know how I missed it, but I’m glad I found it in time for the giveaway! Looks like a really good book! I saw a young girl with a copy of ESCAPING THE TIGER at my library and I’m ashamed to say I considered ripping it out of her hands! Ha! And Children’s Day is also my son’s birthday! I’ll have to tell him that it’s a holiday in Korea! He’ll love that! My husband is an immigrant and as a child was a refugee, so I am most interested in this book.